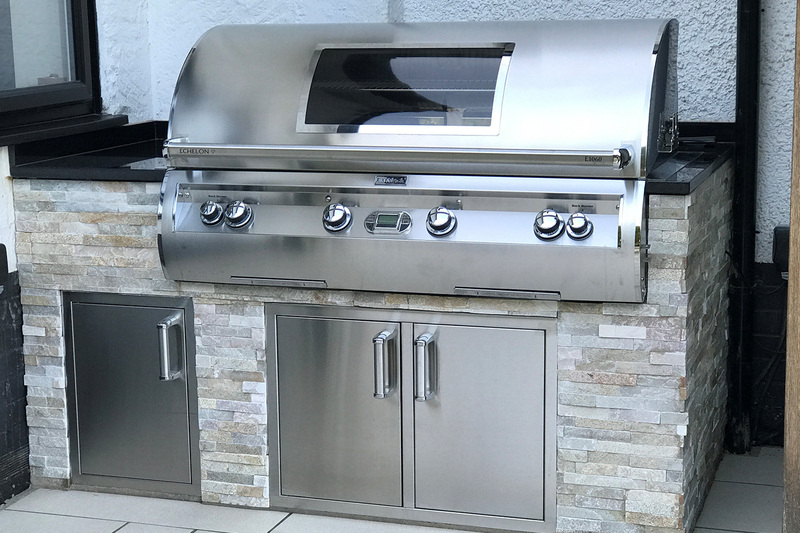 The Echelon Diamond Series BBQs are the pinnacle of the Fire Magic range and ideal for families and grilling enthusiasts who entertain on a regular basis. An Echelon series built-in BBQ is a wonderful addition to your outdoor living space or garden kitchen. 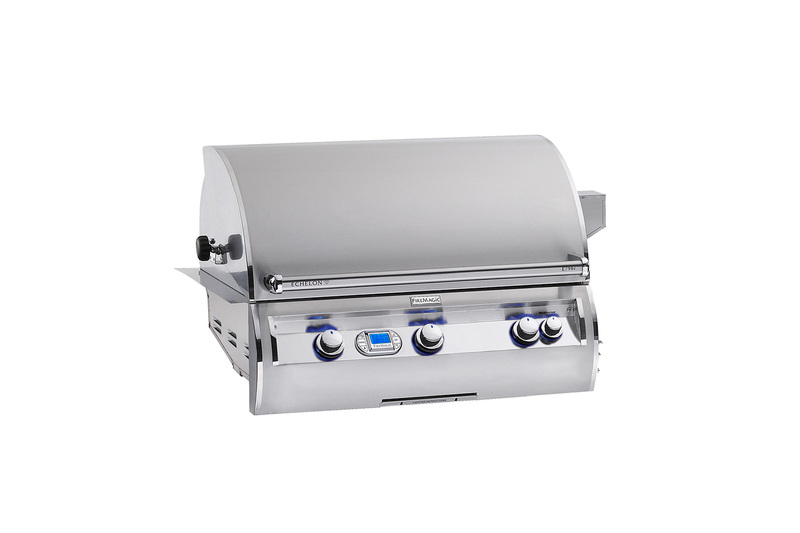 Each Echelon series barbecue can be run on natural gas or propane gas, making the Echelon Series the ideal choice for the serious barbecue enthusiast. 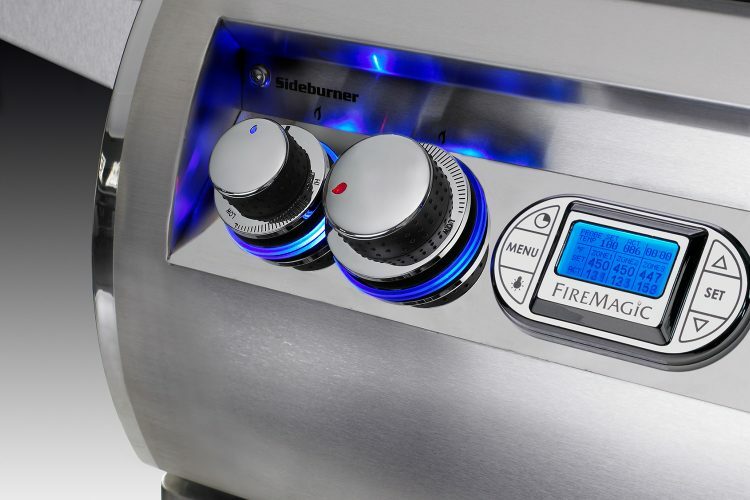 Smooth, seamless lines with polished highlights that feature fully illuminated, comfort touch safety control knobs. Sturdy rotisserie with powerful motor and counterweight for smooth rotation. 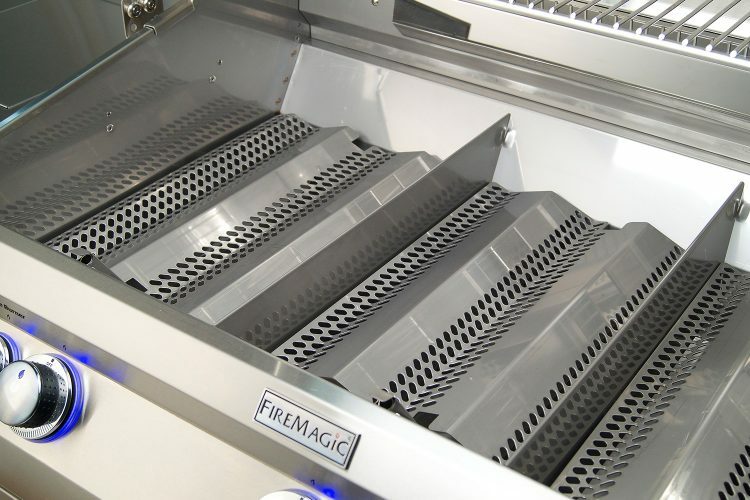 The Fire Magic Echelon includes a quantum backburner with stainless steel foam for double the power and more evenly dispersed infrared heat. Exclusive to the Echelon Series, the heat zone separators between each burner, flavour grid and cooking grid allow you to cook at different temperatures at the same time. 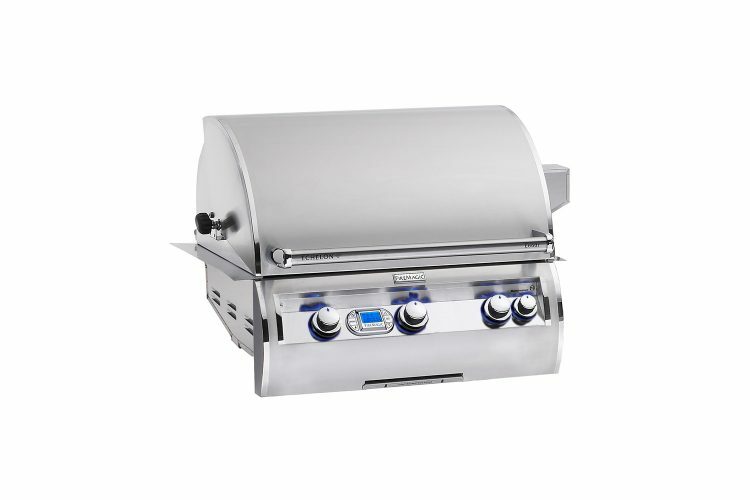 Illuminated chrome digital thermometer with meat probe, timer and alarm settings for precise grilling. 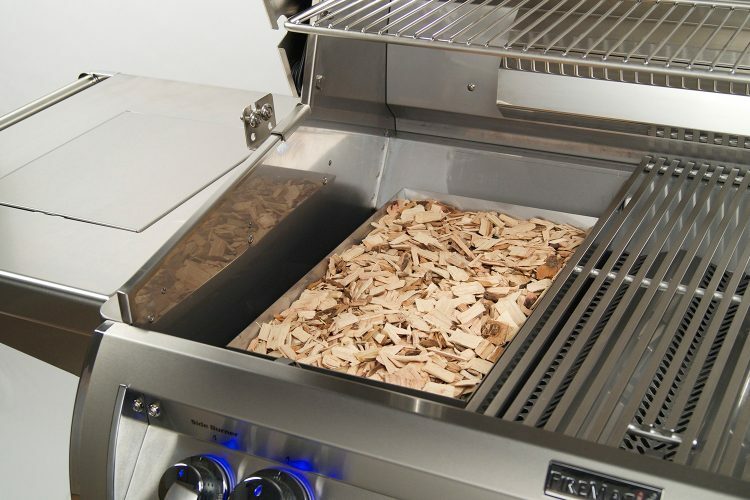 Included with all Echelon Diamond grills at no additional charge is our fantastic charcoal/smoker basket. Thick cast stainless steel “E” burners for consistent, even heat and a lifetime of durability. 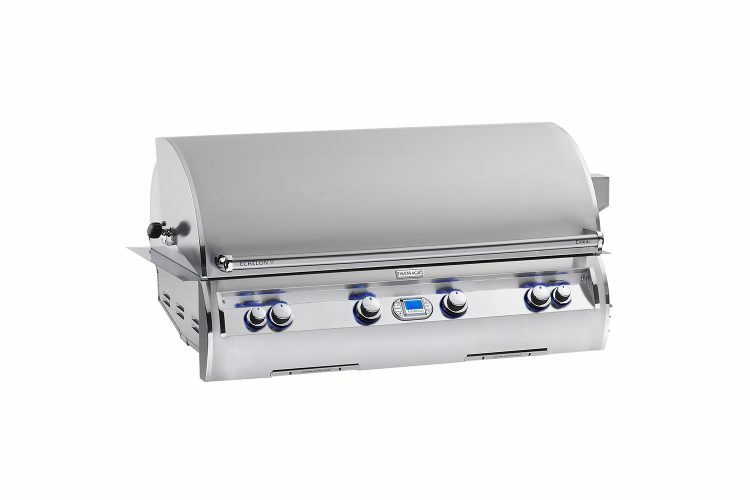 Striking blue back-lit knobs and a unique contoured face are just the beginning with this outstanding BBQ series that is sheer grilling perfection. 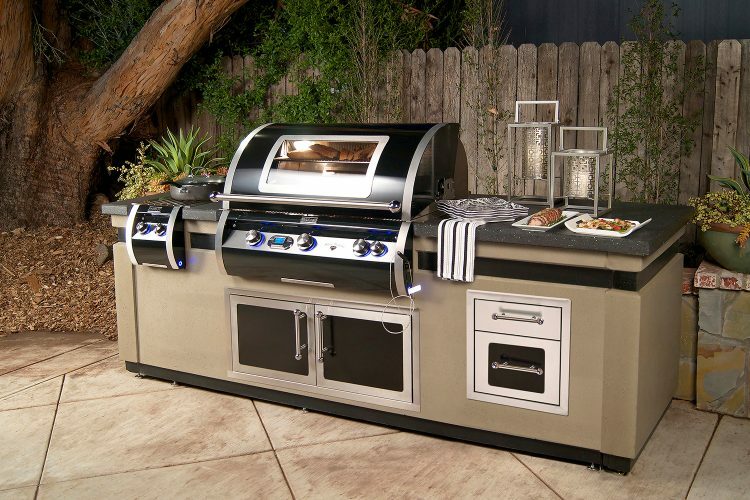 Once you see an Echelon Built-In BBQ you won’t want anything else for your Outdoor Kitchen. Double-wall seamless hood with featherlight easy lift. Interested in finding out more about this model? From the Black Diamond Range, the Black Diamond Echelon 790 has an external black porcelain coated finish with satin stainless steel accents. 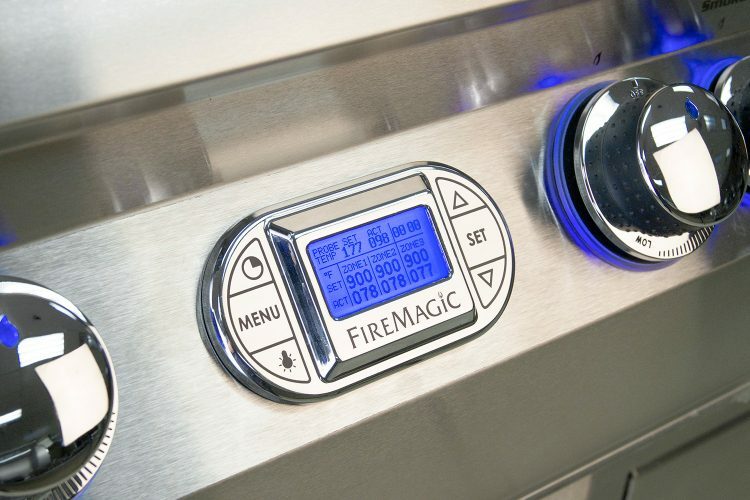 Be inspired with Fire Magic Outdoor Kitchens and view our latest brochure here. Use the Building In Plans to confirm cut out dimensions for all Fire Magic products.